This passage from Matthew about the wise man and his house of rock probably conjures up images of tall stone cathedrals similar to Chartres or Westminster Abbey, or St. John the Divine in New York City – strong fortresses dedicated to worship of an almighty God. For me, the passage evokes a cogent image of a female ancestor who left a rich spiritual legacy to me. The houses she built were missions without walls, and the story reaches back to the early part of the 20th century, when a nudge of the Holy Spirit inspired Dora Runnels Greenlaw to lay the foundation of a future mission, and she was challenged by male objectors to complete that mission. Dora felt overheated in the billowing dimity dress her daughter-in-law Nell had sewn for her, a dress she felt expressed Christian modesty. Thank God Nell was a good Baptist and knew the value of modesty, indeed, she had made the bodice to fit tightly under Dora’s chin so she showed just the proper amount of decorum for a woman riding in a buggy doing missionary work in this year of Our Lord 1909. She missed Hazelhurst, Mississippi and Captain Lawrence Dade who had fought so valiantly in The War, but she also knew he wouldn’t have approved of her riding around in an open buggy, sometimes alone, trying to do the Lord’s work. He and the rest of the family would have been just as happy if she had acted like a Martha, doing the dishes and sweeping up every day. She glanced out at the broad hillside pastures where black and white Holstein grazed, swishing their tails at her as she passed. Dear old faithful Nell, her handsome chestnut mare, trotted briskly, showing her the way to women who needed to expand their spiritual horizons. Sometimes she thought she was tempting the Lord’s disapproval because she had named the horse after her daughter-in-law Nell who had a very distinct nose. Dora snickered and turned to her companion Deidra. Deidra had been silent all the way from the Half Moon Church in Franklinton to the hillsides just out of Spring Hill. At that moment, the buggy swerved as Nell tried to avoid a huge hollow in the rugged road, then settled down squarely in the middle of the deep pothole. “He shall give his angels charge concerning thee,” Dora muttered, stepping down from the buggy where she promptly sank, ankle deep, in a muck of red clay. Her companion followed suit, and they both began to push the buggy from behind, only to collapse, their skirts billowing around them in an immodest fashion. As they struggled to stand upright again so they could begin another push, the pastor of Spring Hill Baptist Church, riding a sleek black stallion, appeared on the road. How fortunate, Dora thought. He can tell me what best to say to these women at Spring Hill and can also help us out of this mud hole. To her consternation, the pastor tipped his hat and passed on with a brief “Good evening.” He must have known her mission, Dora thought. He could have wished her Godspeed. What was going on? “Deidra, what kind of pastor is he?” Dora asked her companion. “He does not believe in the organization of women. None of our pastors or laymen do. They are sincere in their belief women must keep silent and leave the work to men,” Deidra said quietly. Dora said nothing. She looked at the buggy and her limp-backed Bible lying on the seat. She looked at the bowed head of the woman standing beside her, and thought that this was what she was up against. Like pastors, like people. The distance between the churches, bad roads, her lack of knowledge of how best to win the ladies, were no longer to be considered. This, the opposition of the pastor, was the mountain to be removed. The enormity of it suddenly strengthened her purpose. It actually caused her to look with more faith to One Whom None Can Hinder. By the grace of that one, she’d lead these sisters into Christian world service for Him who had bade them to go into all the world teaching others about the Gospel. Her face hardened in an uncommonly uncharitable expression. The two women shoved hard with one valiant push and Nell struggled forward, free of the sticky clay. Without speaking, Dora climbed into the buggy and took the reins, and her companion joined her, looking decidedly more cheerful. When they arrived at the Spring Hill Baptist Church, Dora found five or six women present, “earnest and willing,” she’d later write in her diary. The Spring Hill women exclaimed over the travelers’ muddy clothing and set to work sponging the soiled skirts. After Devotions, Dora explained that the purpose of a missionary society was to evangelize the world and to help the needy. She met with no opposition. Within an hour, she had formed a missionary society, elected officers, and inspired the women to read the tracts she had brought along. A telephone call from Palmdale, CA brought a compliment from Daughter #2 who said that my book GRANDMA’S GOOD WAR resonated with her because she enjoyed learning about life on the home front during WWII and how it affected my childhood. The remark caused me to reflect on the proliferation of memoirs in our contemporary world. Several of my friends have taken classes about the genre of memoirs, and have begun writing them for their adult children to enjoy. Dianne Landry, a friend in New Iberia, LA who brought up 11 children (!! ), certainly has a storehouse of memories to pass on about her life with a large French family and about the community of New Iberia. “Community characters” is a subject that she likes to talk about when I sit next to her at Fortnightly Literary Club meetings during the months I’m in New Iberia. She’s an expert on the subject of New Iberia notables, and I told her she should write a book on that subject. However, she says she’s too busy with her memoirs. Dianne says that she wrote two installments of her memoirs and sent them by e-mail to her 11 offspring, then suffered a little hiatus. During that hiatus she received outcries from her adult children–“when are you going to do the next chapter?” She has gone further, and recently her husband “Smitty” published his memoirs, which cover the years leading up to his marriage to Dianne. He recently said,“I’ll let Dianne take it from there.” In actuality, Dianne did take it from there, balancing her life as a wife and mother with an active community life, even a career as a realtor. Dianne also rescued thousands of glass negatives belonging to outstanding New Iberia photographer, Carroll Martin (now deceased), now in the archives of the Iberia Public Library and that form a valuable collection of photos covering the latter part of 19th, as well as a large part of 20th century life in this community. The photographs range from pictures of the Royal Gourmet Society to a collection of historic buildings in this little city on the Teche. A book featuring many of the photos was published by the Daily Iberian a few years ago. Dianne also has interviewed and video-taped many deceased New Iberians and plans to make the tapes a permanent part of area archives. Jan Grogan sent me an e-mail from London regarding the blog on gardens, informing me that London was blossoming with roses and delphiniums right now. Jan has been working on her memoirs for several years and writes within a group that coaches and supports her to get the book published for her three children and their offspring. Jan, a meticulous writer who settled in Washington, D.C., has lived all over the world: Africa, South America, Scotland, England, and other ports. She has great stories to relate, even the one about the beginning of our friendship, which began in 1960 in a desolate small town called Electra, Texas when our spouses were petroleum engineers in the oil patch. Gene was a field engineer with Cities Service, and my spouse was a field engineer with Texaco. Electra was a shabby, former boom town where the only recreation of any note was a trip to Waggoner’s Ranch to watch a small-time rodeo—West Texas at its liveliest, folks. Gene became a top administrator with Cities Service (now CITGO), and traveled around the world in his management job. I visited the Grogans in London enroute to Iran (where I lived two years – see SOPHIE’S SOJOURN IN PERSIA at www.amazon.com) back in the 70’s, and they introduced me to life abroad. I look forward to reading Jan’s memoirs as I have read numerous interesting Christmas letters from her while she traveled around the world and back…and, in Gene’s retirement, still ventures across the pond. Memoirs differ from autobiographies in that they are shorter and sometimes involve only a few events in a person’s lifetime. The word is derived from the French word memoire and when writing a memoir, you can contemplate, in retrospect, the meaning of particular events in your life. Sometimes, the ones written by seasoned authors seem fictional in content, but most of us just try to convey true happenings in a personal, conversational way that will at least engage family members. Last year, I wrote “a memoir upon a memoir,” a vignette highlighting the missionary work of my great-grandmother Dora Runnels Greenlaw and the trials she endured while trying to get the Women’s Missionary Union established in Washington Parish, Louisiana. I attempted to get the vignette published in Episcopal publications, but I suppose it was just too Baptist for them as the piece was rejected several times. However, I did deliver a sketch about it as a program for the Episcopal Churchwomen at the Episcopal Church of Ascension in Lafayette, Louisiana where the women responded well. Last night, I couldn’t sleep because the idea to publish it in my blog kept returning to me. The memoir will be a rather long piece for one blog so I am publishing it in two installments. Stay with me as I pass on “a memoir upon a memoir” for my family and friends. It’s called SHE BUILT A HOUSE UPON A ROCK. I hope to post it tomorrow. Yesterday at 7 a.m., fog hovered outside the altar window at St. Mary’s Episcopal Church, Sewanee, TN, hiding the mountains, and I watched dense clouds shift uneasily in the sky while I anticipated sunlight at The Table. Daily services at St. Mary’s (except on Wed.) combine Morning Prayer and the Holy Eucharist. Sister Julian moved about the altar, assisted by Deborah, who will be received as a novitiate in the St. Mary Community at noon Saturday. After the service yesterday, breakfast was served–again, the biscuits for which St. Mary is famous—and a congenial crowd welcomed us at two long tables in the refectory. We were happy to be among the Sewanee residents who love the Convent chapel and hospitable sisters of this Community of St. Mary, one of three of the oldest Order of Anglican nuns in the U.S. Roses in the front garden at St. Mary’s could rival any British garden. They bloom heartily, showing off large yellow, red, and white faces. After breakfast, we returned to survey our own garden on Fairbanks Circle, bright with red snapdragons and begonias. I thought about C.S. Lewis’s comment that most true friendships were always about something, involved a central focus, and posed the question “Do you see the same truth?” Of course, he wasn’t referring to gardeners, but I reflected on the number of my close friends who love gardens and the natural world and understood Lewis’s question. In New Iberia, my friend, Janet Faulk, who directs the Chamber of Commerce there and who rents the apartment alongside my New Iberia home, puts down a variety of plants in my yard each Spring. She once started a sunflower enterprise called RADIANT FACES, planting varieties of the tall plants in a field she leased near Loreauville, Louisiana. Her happy-faced plants flourished but when harvested, they vied with vegetables in a run for the money at the Farmers Market in New Iberia (see poem below). My friend Dr. Victoria Sullivan tends to favor wild species, especially ones I call “dirty, white weeds,” in the genus Eupatorium. She’s one of the experts who researched and wrote about this plant during her tenure at the University of Louisiana in Lafayette, Louisiana. The sermon on lilies of the field in my previous blog reminded me of Vickie’s entry on Aletris, a wild lily genus of several species found in the eastern U.S., featured in a volume of the FLORA OF NORTH AMERICA. A field trip with Vickie includes her running broadcast of plant classifications, including “Oh, there’s Eupatorium capillifolium,” and other strange names that remind me I’m not even remotely an amateur botanist, much less a weed lover. However, Vickie also loves a cultivated garden and plants one each Spring. Jane Bonin, another good friend who lives in Georgetown, is a retired English professor and former director in the Peace Corps in Malawi (and other African sites). She has a garden lining her patio in Georgetown that could also compete with an English garden. We have sat among her plants in this garden bordered by Rock Creek Park, enjoying a glass of Chardonnay and Jane’s cosmopolitan repartee, a non-stop talking experience. By the way, Jane has a blog at alionseye.blogspot.com that chronicles some of her adventures in Africa and in the art/music world of Washington, D.C. Log on! Then there’s Anne Simon of New Iberia who said she couldn’t possibly write a long e-mail last night because she had to tend her plants before she left on a trip to Seattle, Washington to visit her son, Dr. Greg Simon. Anne, a retired District Judge of Louisiana, spends leisure time in her yard cultivating a garden. Again, she’s another one who appreciates the natural world, especially plants and birds. When I’m in New Iberia, we sometimes make a field trip to Lake Martin where egrets abound and roseate spoonbills nest. Often, we see more alligators than birds, those crafty reptiles pretending to be half-submerged logs and nestling among alligator weed. If we sight one heron or egret, she dubs the trip successful, and I enjoy her exultations about Louisiana flora and fauna. Sarah Boykin, an architect who could function as well in a landscape architect profession, has a cabin at Sewanee, but she cultivates plants in her mother’s yard at Sewanee and leaves her cabin property almost undisturbed by spade, preferring the natural wilderness around her home. Sarah planted a field of white and yellow daffodils in her mother’s yard, and the crop bloomed so densely that people plucked them for “state affairs” in the village this Spring. Last week-end Sarah was busy planting edibles, and I’m sure her deft green thumb will produce a bumper crop of tomatoes and pole beans again this year. My brother Paul, who lives in northern California, is perhaps the grandest gardener of all. 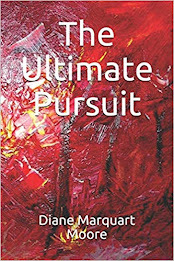 An artist who paints abstracts, seascapes and landscapes, many of which have become the covers of my books, he’s equally an artist when laying out a garden. He and his wife Lori have created a small paradise, and one year when I visited, I found vistas everywhere–rose gardens, small pools, native stone benches, lattices with bougainvillea twisting through their slats, lush tracts of brilliant yellow nasturtiums, and rustic driftwood statues. Paul and Lori call the place WINDHAVEN, and this small paradise invites visitors to sit and contemplate the miracle of co-creation. dying from the burden of cheering too long. we hardly had time to anticipate their faces. aka Big Boy tomatoes and thick-skinned eggplants. At St. Mary’s Episcopal Church on the bluff near Sewanee, Sister Lucy broadcast a pithy sermon yesterday; this time telling us “not to worry,” according to the Gospel -- pointing to the lilies of the field and their state of being unperturbed by anything, silently growing in the field. It reminded me of a passage in LEAVES OF GRASS where Whitman mentions “me imperturbe, standing at ease in Nature/Master of all or mistress of all, aplomb in the midst of irrational things,/imbued as they, passive, receptive, silent as they…” Whitman covered the whole span of human experience, including man’s expulsion from Eden, in his innovative masterpiece, and I think he’d have loved Sister Lucy’s homily. I received an e-mail from a good friend, Brenda Lowry, one of New Iberia’s ambassadors, who says she’s looking forward to getting her copy of FLOOD ON THE RIO TECHE. Brenda is a talented musician, songwriter, singer, psychotherapist, recording expert, and part of a duet with Bubba Murrell (a Grammy award winner). They composed a program called WOMEN AT THE WELL in honor of my ordination a few years ago and have taken it on the road to perform at retreats, churches, in private homes, and at women’s gatherings in several states. Brenda is seeking a venue in Tennessee, a great state for music, and wanted to know if I had any ideas for the Nashville/Sewanee area. I referred her to St. Ann’s in Nashville but this morning she e-mailed a refusal from a priest there, and I’m sorry that this talented duet won’t be performing in this area. WOMEN AT THE WELL features original music and lyrics written from the point of view of various women in Christ’s life and was heartily endorsed by deceased Bishop Willis Henton of the Diocese of Western Louisiana. You can learn more about these two musicians, Brenda and Bubba, at www.women-at-the-well.com. You’ll be amazed at the reservoir of talent showcased there. the kingdom of the spirit. Yesterday, we drove in from New Iberia, Louisiana where we had spent a week renewing friendships and introducing my latest two books to the city. I attended a Fortnightly Literary Club meeting where I sold copies of FLOOD ON THE RIO TECHE and GRANDMA’S GOOD WAR while dining on excellent cuisine -- tilapia served at Lagniappe Too, a quaint restaurant on Main Street owned by Al and Elaine Landry. Al provides all the “wall coverings,” a la paintings of Cajun Country characters--his “left to right series” based on newspaper clippings of brides-to-be during the beehive hairdo era are priceless! Al acts as host to diners from throughout the world. A Parisian who visited there several years ago said that Al looks and acts more French than the average Frenchman. Elaine is the chef and cooks French cuisine magnifique. She also creates whimsical stocking dolls that flop around on an old upright piano in the dining area. Two other fine New Iberia restaurants offer wonderful French cuisine on Main Street: Clementine’s and Le Rosier, the latter boasts a rose garden in the front yard. After several days of Cajun cuisine, I expected to weigh in a few pounds heavier on return to The Mountain, but managed to gain only one pound on the fine food I consumed while visiting my adopted city. One day, I made a trip to LeJeune’s Bakery in St. Martinville to pick up petite cream cheese confections to accompany exceptionally dark roast coffee that I served an old friend the following day. St. Martinville is one of the towns in Acadiana that offered a refuge for exiles from Nova Scotia in the 18th century. It also welcomed many French aristocrats who fled there during the French Revolution, and the town came to be known as “Little Paris.” I always visit St. Martin de Tours Church on the old square to light a few candles in this beautiful chapel that dates back to 1765. The church houses a baptismal font said to have been donated by Louis XVI and also has a replica of the grotto at Lourdes. When I have serious problems and am in New Iberia, I make a trip to the old church and can attest to miraculous solutions that come to me during my time in the pews of St. Martin de Tours. During the late 19th century, George Cable wrote many stories about St. Martinville, including a tale about the invention of a suitable hat for women. Most female residents regarded the town as a wilderness village located hundreds of miles away from cosmopolitan New Orleans shops. Cable tells the story of Tonton de Blanc who had one of the fairest complexions in the town and who never went into the yard or garden without a sunbonnet and a thick veil. One day when she heard a noise in the street, she was told that a child had been run over by a vehicle. She looked around for her sunbonnet but didn’t find it and ran outside into the street. As she exited her home, she met her younger brother and snatched the hat off his head to cover her own. The accident turned out to be a false alarm but Tonton decided she liked her brother’s palmetto hat and went straight to the person who made men’s hats. She ordered one to be made with thin palmetto strips and trimmed with roses and ribbons. On Sunday, she appeared at St. Martin de Tours wearing the palmetto hat. The following Sunday, St.Martinville’s female contingency appeared in fine palmetto hats trimmed with flowers and ribbons. The cost of these transformed male chapeaus -- $10 each! I had mixed feelings about leaving New Iberia and beloved Teche country, but The Mountain is experiencing one of its loveliest Springs, according to natives, and temperatures hover in the 70’s and low 80’s. The woods in my front yard have leafed out in a spectacular show of green, and flowers grow in my yard that didn’t appear last year when I settled in –there are huge white blooms on irises, wild roses, and peonies. Rain fell on the plants we had put in before leaving for New Iberia, and they appear to be in good health despite our neglect of them. I’m working on a second volume of JUST PASSING THROUGH, and the profusion outdoors will inspire more poetry, I’m sure. On my return, I found a birthday gift in the kitchen, a beautifully crafted copper garden sculpture -- a butterfly created by an artist named Matt Walker, a graduate of East Tennessee State University. Our friends, the Boykins, bought it at the River Gallery in Chattanooga and left it in the kitchen where I’d find it on my return to The Mountain. It now hovers over a bed of begonias and reminds me that Spring on The Mountain means bountiful gardens! No, I didn’t plant any edibles. My grandson Martin says that every time I visit Louisiana, I bring bad weather. On this trip to southwest Louisiana, we were caught in the middle of a monsoon while staying overnight with Martin in Covington, LA. The next morning a rainstorm, complete with tornadoes and a brilliant light show, preceded us from Covington to New Iberia, all the way across the I10 corridor from Hammond to St. Martinville. The tornadoes ravaged properties along that corridor just before we set out for New Iberia. However, the weather since my arrival has been beautiful and unusually cool, and I am home during the time that baby gardenias bloom in my yard. Also, the lattice on my patio is completely covered with cape jasmine, so the scent outside is exotic! Since last Friday, I have enjoyed a siege of birthday parties hosted by old friends and family. One day, I spent a few hours distributing copies of FLOOD ON THE RIO TECHE on Main Street of New Iberia, and gave some copies to my good friend, Janet Faulk, who is President and CEO of the local Chamber of Commerce. I also dropped several copies of this saga about New Iberia at Books Along the Teche, New Iberia’s only bookstore (a privately-owned bookstore that handles all of James Lee Burke’s novels and is right next to Dave Robicheaux’s headquarters at Victor’s Café). Yesterday, my friend Vickie and I met Janet and her son, Ben, at Starbuck’s in Broussard, Louisiana where we sat and discussed a children’s book Ben has just finished illustrating for me. It is a picture book entitled THE BEAST BEEZLEBUFO, a poem with accompanying pictures about a devil frog whose remains were discovered in Africa. I had read about this huge frog online and immediately thought about my grandson Joel, a “frogasieur” who spends all his time outdoors looking for reptiles, primarily frogs and lizards. Ben’s whimsical illustrations for the book are delightful. I’ve known Ben since he was a baby, and he has been drawing since he could hold a pencil. He is now 22, a tall, handsome man whose artistic ideas feed my imagination, and vice versa, when we get together. Ben lives in Lafayette, Louisiana and has a strong interest in raw food preparation, as well as design and art work. He’s an avid organic gardener, loves dancing, music, literature, and calls himself a “Renegade Scholar,” and a “Roads Scholar” who likes to travel. Ben has no formal training in Art and says he’s uncontaminated by formal education. He leaves Tuesday for Patagonia, AZ to train in Raw Food Preparation and Organic Gardening for three months at the Tree of Life Rejuvenation Center. When he returns, he’ll set up a raw chocolate business in Lafayette. At a potluck supper before he departs for AZ, Ben plans to serve one of his special concoctions, “Third Eyes Crèam”, a dessert made with frozen bananas, raw chocolate, and goji berries. For my birthday, Ben gave me a copy of A BLUE HAND, stories about the Beatniks in India, and as this group of renegades represents my generation, I look forward to reading it. Ben has also done art work for one of Greg Guirard’s books and will continue with his illustration work as a sideline. THE BEAST BEEZLEBUFO, a one-poem picture book, will appear in the Fall, and who knows what Ben and I may jointly create next!! We’re talking about a complete volume of children’s poetry illustrated by this Renaissance man. Will return to Sewanee this coming week, hoping that we don’t fly up The Mountain on the winds of another storm!! An eight a.m. service that is held in a church more than five minutes’ away translates to “Rise and Shine,” in my lexicon, but we’ve begun to attend early Sunday services at St. Mary’s Episcopal Church a few miles from Sewanee, a place nestling in a bluff spot on 120 wooded acres near St. Mary’s Sewanee, a Center for Spiritual Development. Today, St. Mary’s was a perfect spot to hear The Gospel about the sound of wind rushing on Pentecost, as we could hear the wind rustling in the oaks and dogwoods, blowing strong on the bluff. St. Mary is always flooded with light from small windows on either side of the chapel, long windows behind the altar on the bluff side, and skylights in the ceiling. Sister Lucy is one of those living saints who invites small miracles to occur in people’s lives. She also likes “thin places,” as I have mentioned in a previous blog – those places where connection with the Divine seems to be more possible –like Sewanee, Sedona, Iona. She once led a group of Sewanee pilgrims to the Isle of Iona in Scotland, a very “thin place,” and nudged a miracle alive in a rector (now deceased) who suffered from Parkinson’s Disease. He was among the pilgrims in her party and was well-known to me because he once served our congregation at Epiphany in New Iberia. Elmer was recognized for his booming voice and his passionate deliveries of the Gospel, but by the time he made the trip to Iona, he had become ill and lost the grand timbre of his voice. At a service Sister Lucy led on the Isle of Iona, she turned to the startled rector and handed him the Gospel book, insisting that he read. Anne, the rector’s wife, who stood at his side, says she trembled with fear, expecting him to be unable to read a line. However, in that moment, in that thin place… and only in that awesome moment… the rector resumed his former booming voice and read the Gospel without faltering. As the story goes, the rector never read again, but on the Isle of Iona, with Sister Lucy’s prodding, he was given his place to proclaim the Word in a blessed space. and the Spirit is made song. the Spirit visits its work. Needless to say, this morning was a highly provocative time! When the academicians and clergy processed into the gray stone Gothic Cathedral that is All Saints Chapel, the Presiding Bishop of The Episcopal Church of America, The Rt. Rev. Katherine Jefferts Schori, walked alongside Bishop Tutu. A dynamic leader of the Church, she is the woman Bishop Tutu said not only delivered an elegant sermon, she looked elegant. I was sitting right on the aisle and could have reached out and touched the “hem of her garment.” She was smiling broadly, although we all know that she and Bishop Tutu carry weighty burdens as bishops of the Church in countries struggling to become healthy, inclusive bulwarks in contemporary society. I was sitting in a back pew, so Bishop Tutu’s remarks were difficult to understand, but he was like a gracious host, complimenting Bishop Schori, praising the seminarians, and inviting applause, as the saying goes, for “all God’s children.” Tutu said all of us helped God end apartheid in South Africa, that we have been collaborators with God to accomplish this work. He told the story of a traveler who noticed a great crop of corn growing in a field he passed. The traveler stopped and told the farmer what a beautiful field of corn he and God had created. The farmer thought about it for a moment, then said, “You should have seen it when God had it all by himself.” Tutu concluded his homily by voicing pleas from God for us to help Him end wars, hate, sexism, to create laugher and community in the world. He received a standing ovation. In early Spring about seven years ago, I was invited to preach a sermon in the very same All Saints Chapel I sat in today, a funeral homily for The Rev. Elmer Boykin, who once served as rector of Epiphany in New Iberia, Louisiana. I know how it feels to climb up to the “Eagle’s Nest,” as the locals call the pulpit, and to look out at hundreds of people, wondering if the Holy Spirit is going to put inspiring and comforting words into your mouth, or if your courage is going to take wings and fly away before you speak the first word from that eagle’s perch. The homily I delivered was the first funeral homily I preached after being ordained a deacon, and by Episcopal homiletic standards, I probably eulogized more than sermonized. However, even today when introduced to some people here at Sewanee, they remember the homily and say, “so you’re the deacon who…” That experience in the Eagle’s Nest was an awesome experience. In fact, when I woke up at the Sewanee Inn the day following the funeral and looked out at a Spring day, dogwoods and forsythia flowering everywhere on The Mountain, I felt that I had been touched by the Holy Spirit. I kept returning to The Mountain for visits until we finally found this cottage on Fairbanks Circle, right on the campus of the University of the South. You could say that a funeral homily initiated the Sewanee experience for me. I hadn’t long been ordained a deacon when I delivered that funeral homily, and I blamed my vocational change from being a feature news writer to being a member of Holy Orders on Fr. Boykin. In my homily about him, I told the story of how no woman had ever read at the Church of the Epiphany in New Iberia until Fr. Boykin walked up to me one Sunday, handed me a bulletin containing the readings, and said, “You can read this morning.” When I went up to the lectern, I discovered I was about two inches too short to see the Bible on the lectern. I was hidden behind the eagle, with its outspread wings, carved on the lectern’s face. When I opened my mouth to speak, it appeared that the eagle had come alive and was issuing the Word. Miss Pearl, a ninety-year old woman sitting on the front row, fainted, and I’ve never known whether she did so because she thought the eagle was speaking or she was shocked by my breaking tradition – just one of those forward females reading and causing a big commotion. Anyway, Fr. Boykin started me on the path toward becoming ordained; in fact, I became the first woman ordained in the Church of Epiphany in its 150-year old history. I love and respect the people in this little church. They have honored me many times as a lay leader and as an ordained deacon. Last May as I departed New Iberia, Epiphanites honored me with The St. George Award, a national Episcopal award for distinguished service leading toward the physical, mental, and moral development of youth, signed by Presiding Bishop Katherine Jefferts Schori, the woman I could reach out and touch this morning. Such is the heart of this small Louisiana congregation – like Bishop Tutu, always the gracious host, they honor and care for the Church’s servants and have been collaborating with God to make this a better world since pre-Civil War days. I leave Sewanee for a short visit to New Iberia next week. I hope those Epiphanites enjoy FLOOD ON THE RIO TECHE! Seeking a respite from designing and producing another flier to advertise FLOOD ON THE RIO TECHE, my botanist friend and I set out for the Swiss Pantry in Belvedere, TN, a 40-minute drive from Sewanee, not too far from Winchester. We descended to what the natives call The Valley, down eight miles of curving road to Cowan. Highway 41A to Cowan is a winding mountain highway that excites motorcycle enthusiasts, one of whom is my son-in-law, Brad, who came up for a visit when we first settled in. The first six miles of the Cowan ride is enough to make anyone who suffers from motion sickness feel “on the edge of,” and that stretch inspired Brad to talk about bringing up his red Ducati the next time he comes to The Mountain. Brad, a bona fide Cajun and a Romero (just like the hero in FLOOD ON THE RIO TECHE), had never seen a mountain and spent a lot of time scurrying back and forth to Green’s View to get his fill of viewing “sweeping countryside” from a bluff. On the last two-mile stretch to Cowan, we passed fields of buttercups and red poppies, a colorful contrast to August’s parched cornfields --a severe drought last summer caused serious water rationing. We especially knew about it because we watered an ailing lawn twice daily for hour-long drenches and were in shock when our first water bill arrived -- $237! This bill made such an impression on me that I wrote a poem about it that is featured in last summer’s poetry chapbook, JUST PASSING THROUGH. Cowan is a former railroad town through which trains of the Nashville, Chattanooga and St. Louis Railway passed, and it boasts a yellow and green train station that has become a museum with a Porter type steam locomotive on the site. Several excellent restaurants alongside the tracks offer fine dining fare. One is aptly named “Side Trax,” a new restaurant that has great seafood; the other, "Sernicola," is a wonderful Italian restaurant run by an entire Italian family. The Friday buffet lures a good crowd from Sewanee and surrounding towns. If you’re a person who likes the same kind of fare every week, “The Corner House,” a “lunch-only,” historic Victorian house, offers a delicious chicken salad, and muffins accompany every meal on the unvarying menu. Cowan is a neat village with stone and frame homes that are considerably less expensive than those on The Mountain and is a bona fide Tennessee country town. Several miles further on, we drove over a bridge, turning on W.64, the Davy Crockett Highway, and crossed Boiling Fork Creek. We were in hilly countryside again. Several miles later, we began to pass large farms where the Mennonites migrated and settled in the early part of the 20th century. Acres of woods that include cedars, oaks, cherry, and sugar maples (used in the making of Jack Daniels whiskey) line both sides of Highway 41A. Every now and then, I glimpsed exposed red clay not unlike the redneck terrain where I was born near Bogalusa, Louisiana. Nurseries abound everywhere in Tennessee countryside. On our route, we saw several nursery acres covered with dogwood and Bartlett pear trees, a sea of white petals. We could see the blue-green mountains in the distance and knew that we were deep in the valley. Red barns and silos, bales of hay in large fields belonging to the Mennonites, dotted the landscape. I was getting ready to ask “Are We There Yet?” when we turned in at the Swiss Pantry. The Swiss Pantry is a Tennessee Backwoods Heritage landmark, and I don’t know why it’s named Swiss Pantry unless the Mennonites are of Swiss lineage, but I think they’re of German descent. As we drove up, we glimpsed white and red petunias spilling out of quaint window boxes, and, in the front yard, small farm buildings, including an out-of-place gazebo, were advertised for sale. The Pantry is famous for fried pies, homemade preserves, Mennonite peanut butter, savory hams and sausage, fresh bread, cookies, and cinnamon buns -- all the ingredients of a cholesterol-filled menu. Actually, we went there to purchase a bottle of Stevia, a substitute for sugar. What irony!! of dark and cumbersome sin. does not hide his illuminations. 'Seems I can't tell the difference between a cedar and a hemlock, my botanist friend informed me today. In yesterday's blog, I misnamed the tall tree in my Tennessee backyard a "cedar." Turns out that it is a hemlock, behind which deer hide and peer out at me as I plant rock roses and more begonias, hoping they won't devour them in the night. Readers, forgive the tree misnomer. My brother Paul's wife, Laurel, sent me an e-mail this morning saying they like the covers on my chapbooks of poetry taken from paintings done by Paul, some of which they hadn't seen until I mailed copies of chapbooks to them last week. The paintings are abstracts and represent an awakening to a better life that Paul experienced about 20 years ago. I particularly like the cover on "The Book of Uncommon Poetry" where bright red, yellow, and green colors spiral upward toward a night sky, away from dark stalagmite-like formations below, as if reaching toward a higher power. The stalagmite-like formations may have been inspired by a childhood journey to the West, or "Diddy Wah Diddy," an abrupt exodus from Louisiana we made to California, to find a better life back in the 40's (and didn't... returning to Louisiana within three months). We stopped at Carlsbad Caverns on the way westward and were fascinated with the dark stalagmites on the floor of the caverns. A memory of this childhood experience may have inspired the "floor" of Paul's painting -- I don't really know. A picture of Paul's rendering on the cover of the chapbook, "The Book of Uncommon Poetry," can be found at the site of www.theborderpress.net. Here's the first poem (sometimes called a minimal poem) that appears in "The Book of Uncommon Poetry:" It's entitled "Uncommon Prayer:"
When you go to live in a place quite different from the milieu in which you’ve lived for over 40 years and decide to write about your new environment, you might select to language your experiences in something like a quick charcoal sketch in Art -- in writing, it’s called a vignette, “a short descriptive literary text.” It’s a comfortable genre, perhaps even folksy and not so literary, and it isn’t disallowed by readers for being unforgivably long. I moved to Sewanee, TN because I had passed into my 70th decade, and some distant stir in my psyche began worrying me enough to make me desire “Change.” So I left the swamps of southwest Louisiana, moved to The Mountain, and was quickly made aware that Sewanee was and is one of the exalted places in the universe – hence the “the” before the word “mountain,” although its height of 2,000 feet wouldn’t convince anyone that it’s the highest peak on the North American continent. Sewanee is located on the Cumberland Plateau, a place marked by bluffs, gorges, natural bridges, and ravines. Its unincorporated community was created by the grace of the University of the South and the Episcopal Theological Seminary. The air is cool; the atmosphere, rarified. Poets claim that angels dwell on The Mountain; the Religious speak of it as a “thin place,” reserved for easy connection with the Divine, not unlike the vortexes in Sedona, AZ, another thin place I’ve visited. My place is a stucco cottage behind a long board fence bordering a parking lot and a dormitory; its front porch face a small wooded area where white and yellow daffodils announced Spring and even survived a light snowfall in April. In my yard, a towering cedar is home to crows, starlings, robins, and, sometimes, wrens. Deer wander up during the day and, at night, graze on the Mexican heather, daylilies, and rosebuds we carefully planted near the cedar. Rabbits trim the grass at night, and the lawn is pitted and undulating because of the stealthy moles who also forage in the middle of the night. At times, the moles dig up and throw aside my scarlet snapdragons, but I manage to keep a crop of yellow and orange marigolds growing (they don’t like the taste) despite the nocturnal creatures who threaten my garden. It’s a quiet place – insects saw their monotonous songs day and night, and I only hear the students when they’re allowed to jam on the week-ends. Social life is infrequent and revolves around the church (Episcopal) and the university. If you’re not a member of Academia or an Episcopalian, you might as well go back to the place from whence you came or go down to the valley where you can admit you’re a ‘come here’ but want to ‘be there’ with those who have credentials other than that of professor or clergyperson. Rock formations line Hwy 24 leading up to The Mountain, and I’m fascinated by the craggy sandstone outcroppings. If you’re lucky enough to find a home on the bluffs and brave enough to face wicked winter winds, you’re among the exalted on The Mountain. John Templeton’s “temple,” where scholars come to research and work on projects related to the interface of Religion and Science, stands on a bluff and can be seen when you drive up from Cowan, a small valley town where the local train station has been immortalized as a museum. St. Mary’s, an Episcopal Conference Center and site of a convent for Anglican nuns, also perches on a bluff. Sewanee isn’t as isolated as an English manor on a moor, but on gray, fogged-in days, the feeling of isolation must be similar to the feelings of those who live in the dense mists of moor country. Loneliness pervades. The gray Gothic buildings scattered about the campus of the University of the South are shrouded in fog, and the most expert drivers forego visits to the valley until the mist clears. On such days, I read, write, and meditate about the reasons I wanted this change in my much livelier existence in Teche country. Last week-end, I was invited to hear an All-Girls Band ( adult women) play Tennessee folk and Gospel tunes at a gift shop in Monteagle owned by a woman named Lorena. Monteagle, eight miles away from Sewanee, is the site of restaurants, a Piggly Wiggly, liquor store, and other evidences of a genuine incorporated town. In addition to running the gift shop, Lorena sometimes goes on foreign missions and lets the Bazzania Girls play their fiddles, guitars, harmonica, and accordion to raise money for the indigent in Africa. It was fun to hear the band play and sing, wearing baseball caps with the words Bazzania Girls Band emblazoned on them. The women played “You Are My Sunshine” and “Jambalaya Crawfish Pie” for Louisiana guests, and I indulged my homesickness briefly. While listening to the two songs, I thought about how the culture change was not unlike the one I experienced when I lived in Iran during the 70’s and wrote my way out of cultural shock with a column called “In A Persian Market.” I’ve been so disengaged from my culture in Cajun country that I have spent several months writing an entire Young Adult novel entitled FLOOD ON THE RIO TECHE, a story about the Spanish settlement of New Iberia in 1779. Although you may not be a young adult, you might enjoy reading FLOOD ON THE RIO TECHE. Who knows? Perhaps even those who live on The Mountain may want an armchair tour of the lower regions of Teche country! THE FLOOD ON THE RIO TECHE, the story of the establishment of New Iberia, Louisiana by the Malaguenos (Spanish) in 1779, has been published and is now available on www.amazon.com and from Border Press, P.O. Box 3124, Sewanee, TN 37375. A fictional account of the founding of this colorful city on Bayou Teche in Louisiana was written for young adults but will appeal to all ages. Although fictional, the book contains historical information woven into the story from authors such as Gilbert Din, Charles Gayarre, Glenn Conrad, Barry Ancelet, and others. 98 pages with bibliography, introduction, and epilogue. The cover illustration is a beautiful rendition by my brother Paul and designed by grandson, Martin Romero, and Dr. Victoria Sullivan. I've lived in New Iberia for over forty years and have wanted to write a book about this wonderful multicultural city on the Teche for many years. Much research and feeling inspired the story. My grandson is a Romero whose lineage is from one of the first few families to settle and stay in this area of southwestern Louisiana. I think it is one of my best young adult fiction books and am proud to present it to my readers. The book has been discovered online and is already selling! !